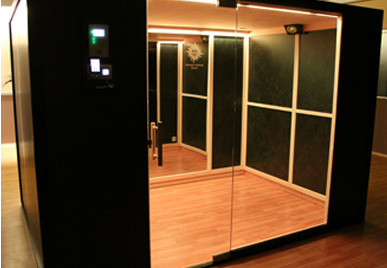 A heated (37°C to 42°C / 98°F to 107°F) sport, fitness and physiotherapy training room, for both private and professional use. 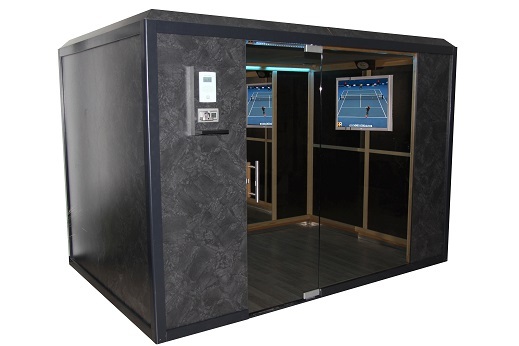 Custom-made, dimensions possible from 4m2 up to 18m2, allowing physical exercises (alone or in a group up to 7/8 persons) with various equipment*. *(Spinning bike, cross trainer, tread mill, rower, punching ball, suspension trainer, elactic bands, dumbells, Swiss ball, kettlebell, medecine ball...…). 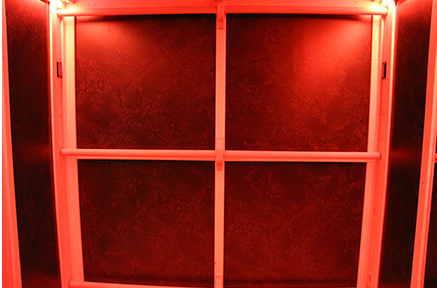 An exclusive form of medically approved infra-red heating (class IIa medical device / CE 0297). 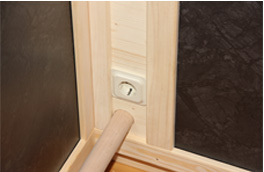 • Temperature can be raised to 55°C (130°F), allowing the Room to be used as sauna. 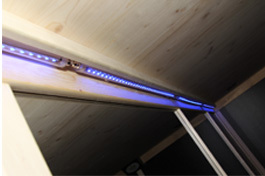 Original adjustable light emitting diodes (LED) for multicolor lighting and chromotherapy, aligned on the ceiling (6 colours: yellow, orange, magenta, violet, cyan, green). 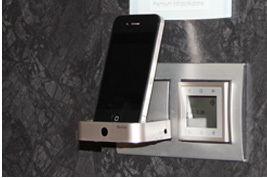 A support for audio devices to listen to music and radio from every type of player (iPhone, Samsung, LG, Blackberry, Nokia, Sony, Asus, mp3…) and 2 to 4 speakers fitted in the ceiling. 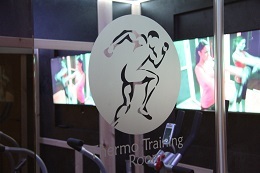 A mirror (location and dimensions of your choice) to check your position when exercising. • Audio (sources and volume). 3 exercise bars fixed at heights of 15, 105 and 200cm, for exercising with suspension trainers, elastic bands or for stretching and relaxing muscles. High-definition TV (location and dimensions of your choice) for a more enjoyable training and multimedia access. 2 to 4 adjustable ventilation grids (on the front and on the ceiling). 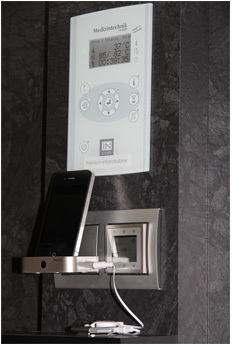 2 sockets inside to plug in your equipment (cross-trainer, tread mill, power plate…). 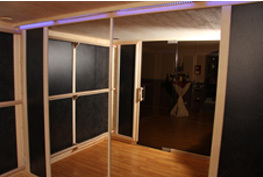 Glass door (pivoting or sliding) and glass partition (made of 8mm safety glass), for higher brightness but also so that exercises can be oversight by a professional from outside the cabin. The structure and ceiling are made of top quality European pine or Canadian red cedar (western red cedar). 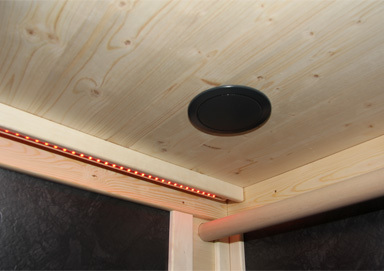 The speakers are fitted in the ceiling. 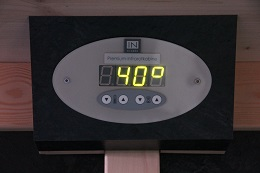 Digital control panel inside the cabin to keep a track on settings (temperature, programming & time). 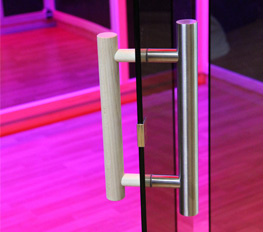 Stainless steel and wood handles. Conceived and made entirely in Europe (France & Germany) according to today’s European CE standards. 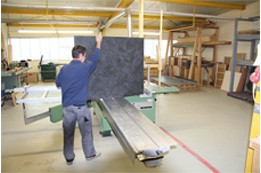 Member of the European association for the protection of the environment (aevu-europe.com). • The cabin and electrics (digital control panels, audio equipment and lighting) have a 2 year guarantee for professional or personal use.